people go crazy for Burial, when really, he is subpar when compared to other dubstep producers. They are making different music. Both are excellent. You should just state that we should check out cerain artist etc. Burial is a lot more subversive than Distance. I like both BTW. I kind of agree with both of you here (although I like Untrue a lot better than Burial s/t). My Demons is an amazing album. Still, when I want to hear Untrue there is no substitute. I'm also liking Repercussions a lot lately but I don't think it beats MD. I'm a pretty big fan of dubstep but Burial is by far my favourite... his recent collab with Four Tet is unbelievably good. ^ seriously, one of the best things i've heard in a while. absolutely fu'cking love this. 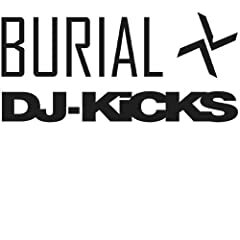 2008 installment in the DJ-Kicks series comes from the hugely acclaimed, underground dubstep producer Burial. The South London producer is notoriously shy of press and public performances yet his last two albums on Kode 9's Hyperdub label have established him as one of the global leaders in this exploding scene on word-of-mouth alone. The 2008 DJ Kicks from Four Tet, Henrik Schwarz, Booka Shade and Hot Chip have all pushed new limits in eclecticism, making linear genre-specific DJ mixes a thing of past... so who knows where Burial will take it next. Was supposed to come out Nov, but now it says Jan 6th. ...Can't come soon enough. Will be buying this for sure. The Flying Lotus DJ Kicks is also supposed to be out January 5th (originally scheduled October 27, 2009). Neither the 5th or the 6th correspond with typical release days though. Both of these have been pushed back once or twice, who knows anymore, but I'm curious to hear both. I have a couple of DJ Kicks comps and they are very hit or miss for me but I am looking for links to the series if anyone has any. Thievery Corporations is by far my favourite thus far. I talked about the 5 Years of Hyperdub CD in the Albums You've Been Digging II thread, and mentioned Burial's previously unreleased track as one of the reason's it was so good. God I hope he's comes out with a new album soon...I love this stuff. A commenter on youtube said, "This is what loneliness and longing sounds like. I feel love in the﻿ pit of my stomach when I hear Burial's tracks." And I can't think of any better way to describe this song. Picked up Untrue last year and was really captivated. The way I see it, Burial is more headphone music and dubstep like distance/skream/caspa etc is better suited for the clubs. The collaborations between Four Tet and him are mind blowing! Anyone know of any artists doing something similar?